The secondary database is priced at 1x price of the selected performance objective. For example if your application requires a P2 primary database but the secondary databases is configured with P1 performance objective you will be charged the price of P1 for the secondary. This option is not recommended for applications with high database write activity as it may result in increased replication lag and therefore, has high risk of substantial data loss after failover. Note, the secondary database must be in the same service tier than the primary. Therefore if you are using S0 or P1 performance objective for the primary you cannot configure a secondary database with lower performance objective. To take advantage of this additional functionality you can create one or several readable secondaries of any Basic or Standard database on V12 server as illustrated below. You will not be required to upgrade to Premium. 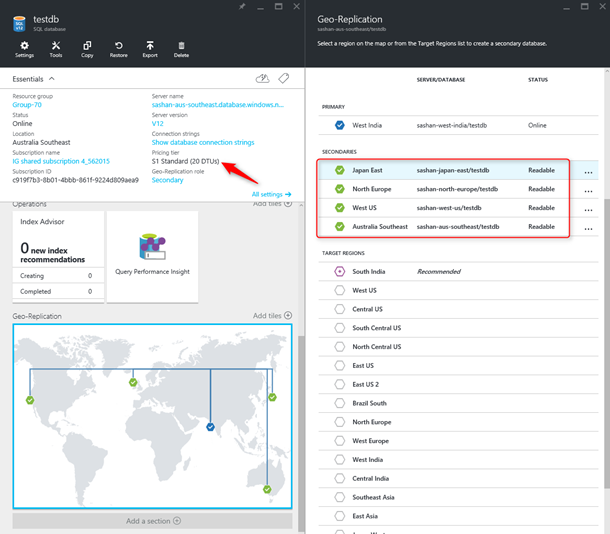 In addition to Azure Portal you can configure readable secondary using T-SQL, PowerShell or REST API. 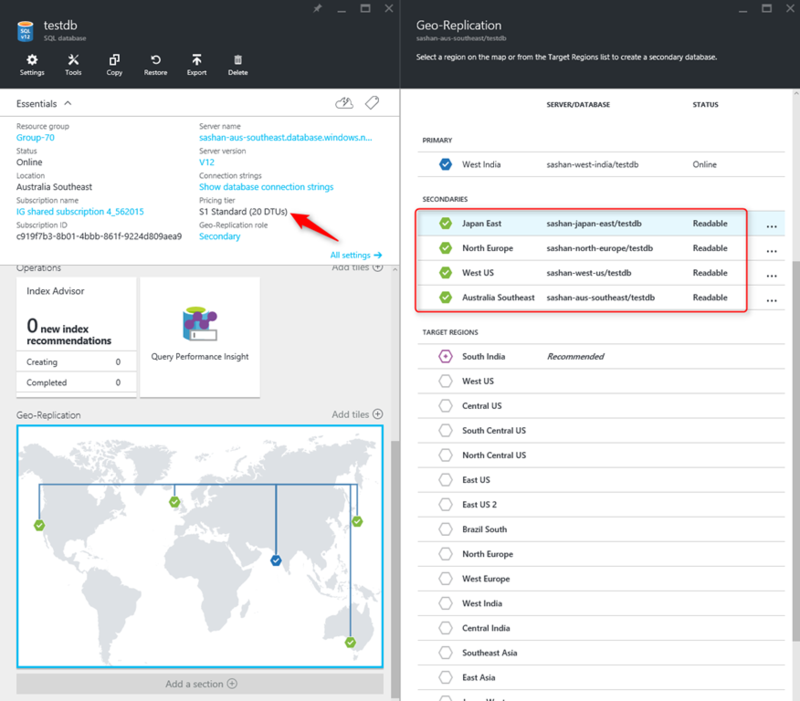 Because active geo-replication is a superset of standard geo-replication and is available to all service tiers, the standard geo-replication configuration option will be retired in 12 months. Until then the feature will remain fully supported.